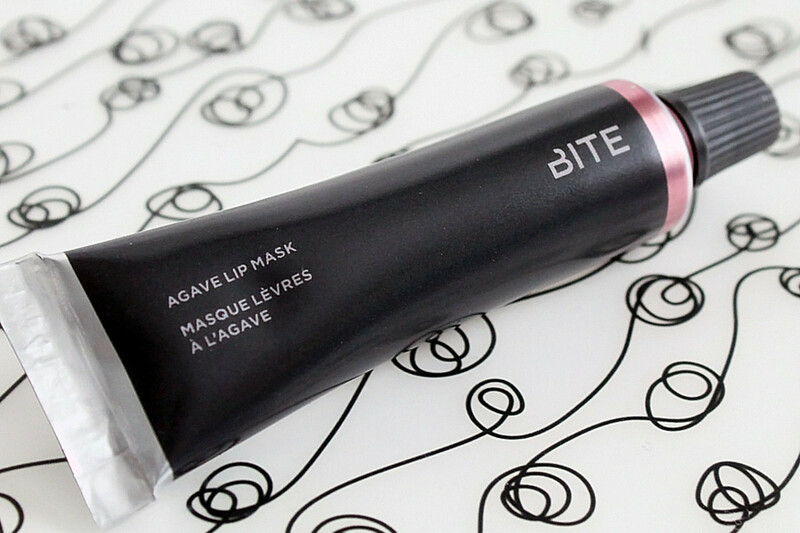 BITE AGAVE LIP MASK: YOUR DRY LIPS NEED IT. No overstatement here: if you've got dry lips, you gotta get this crazy-good stuff. 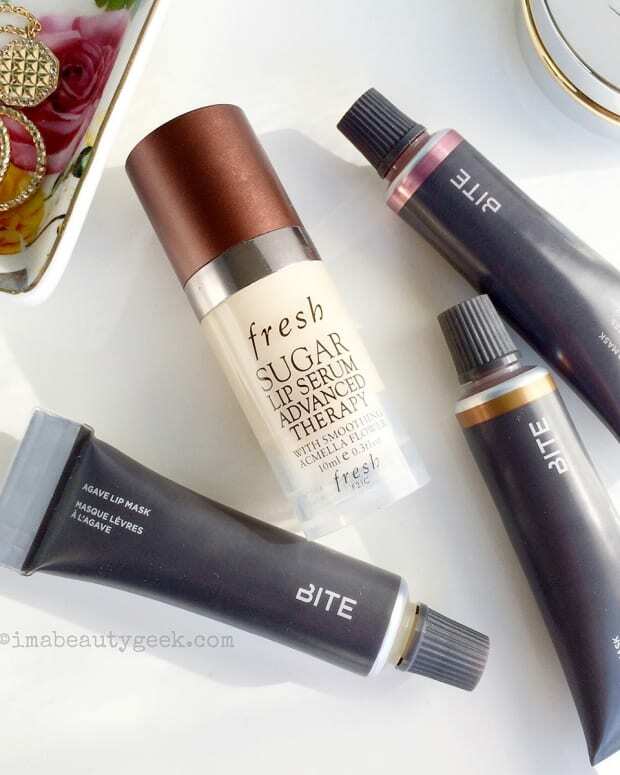 When I gushed about the Fresh Sugar Lip Serum Advanced Therapy that launched recently at Sephora, my friend Lesa wondered why anyone might need it if they had the Bite Agave Lip Mask. 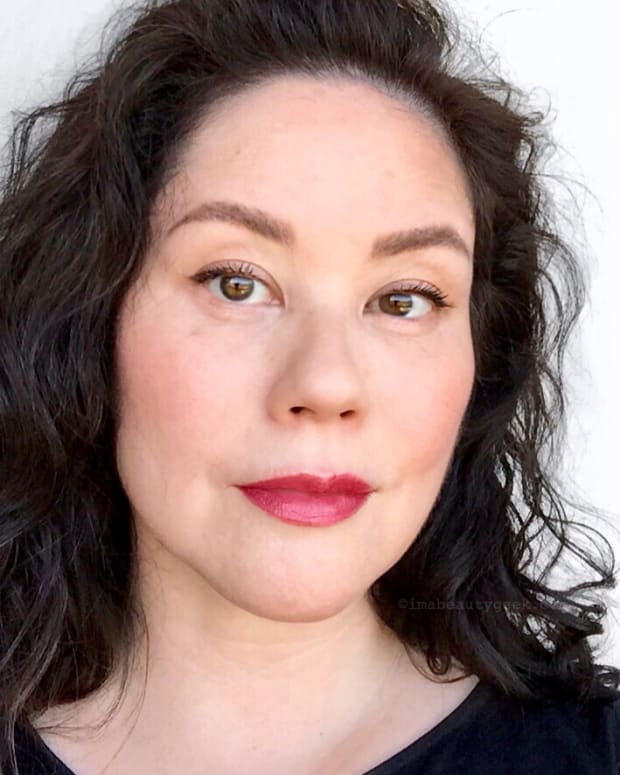 Three things: 1) Lesa Hannah is the Beauty Director of Fashion Magazine and she knows things; 2) I get asked a lot about what to try for chronically dry, cracked lips (hint: not waxy stick balms ever); and 3) I hadn&apos;t tried Bite Agave Lip Mask. One of those three things has changed. Obviously, I immediately got my hands on a Bite Agave Lip Mask ($30 at Sephora.com and $26 at sephora.com), and in the rose gold shade (called Champagne) Lesa mentioned in her comment. I would have prefered the untinted Bite Agave Lip Mask, but Sephora was all sold out of that one. And yeah, I flinched a little at the price tag – $30CAN for a tiny tube. But Lesa called it "da bomb," which is a Very Big Deal from her. I&apos;m hooked. This Bite Agave Lip Mask stuff is insane. And you don&apos;t need to use much; start with a tiny dab until you get the application you like. At that price, you want every precious bit on your lips, not wiped off on some lucky tissue. The Bite Agave Lip Mask is super sticky, which might turn some of you off at first. 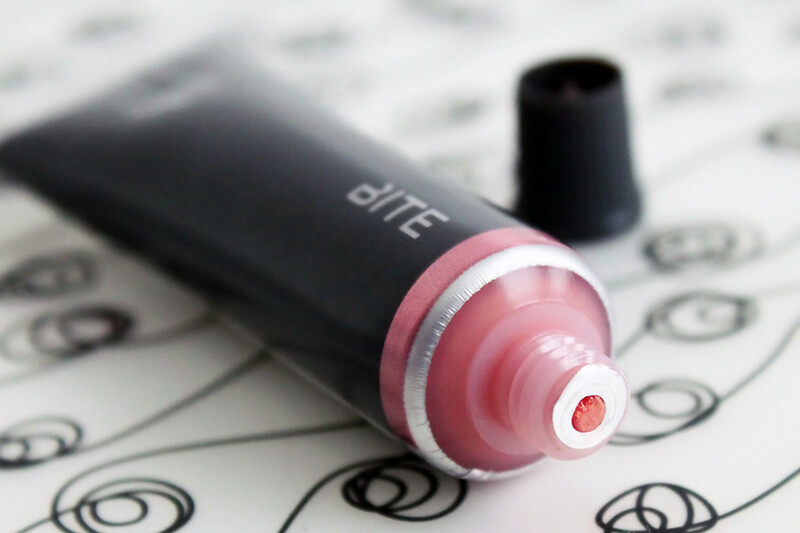 But that stickiness ensures the formula stays put long enough to turn dry lips into supple, smooch-friendly lips. (Hah -- betcha thought I was going to put "pout" there. Nope. Loathe that word. Makes women sound like babies. If you ever see that word referring to lips in a story with my byline, know that someone else put it there.) The stickiness also settles down a bit as your lips soften and plump up a bit with sealed-in moisture. Ingredients in the 99%-natural Bite Agave Lip Mask include the brand&apos;s signature dose of antioxidant-packed resveratrol (apparently equal to the amount you&apos;d find in 15 glasses of red wine). Also listed on the box are many expected lip-balm standards such as lanolin, jojoba oil (which is really a wax, and the closest substance to the body&apos;s natural oil or sebum), castor oil, shea butter, and so on. And the formula is gluten-free. The Bite Agave Lip Mask also contains agave and vanilla extract; the balm has a subtle sweetness. That rather nice flavour is its only drawback. You&apos;ll get much better results from your balm if you don&apos;t lick your lips while you wear it. Plus that expensive tube will last longer. 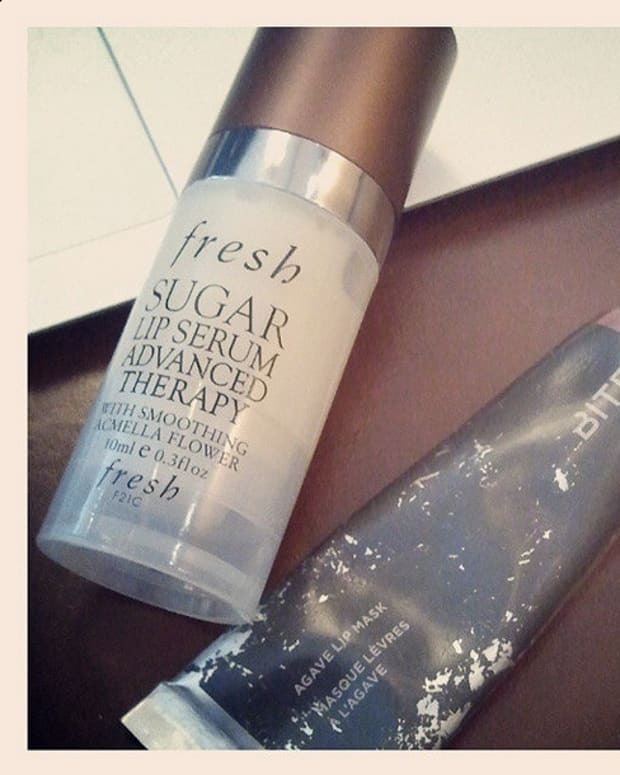 Now that I&apos;ve tried the Bite Agave Lip Mask, do I still think the Fresh Sugar Lip Serum is all that? Yup. For chronic-dry-lip sufferers, it&apos;s great for layering under a balm like this for overnight therapeutic lip-saving benefits. I like the Fresh-Bite combo so much that I do it all the time. Final words on Bite Agave Lip Mask: you need it if you have lips. Thanks for the reco, Hannah! Now I can add it to all my other tips for fixing dry lips. Bite Agave Lip Mask ingredients: Lanolin* (Pharma Grade), Ricinus Communis (Castor) Seed Oil*, Butyrospermum Parkii (Shea) Butter*, Glyceryl Rosinate*, Agave Tequilana (Blue Agave) Nectar**, Olea Europaea (Olive) Oil Unsaponifiables*, Cera Alba (Beeswax)**, Flavor (Aroma), Siraitia Grosvenorii (Monk Fruit) Extract*, Vanilla Tahitensis (Vanilla) Fruit Extract*, Copernicia Cerifera (Carnauba) Wax*, Hydrogenated Castor Oil *, Trans-Resveratrol*, Helianthus Annuus (Sunflower) Seed Oil**, Vitis Vinifera (Grape) Seed Extract**, Tocopherol *, Lonicera Caprifolium (Honeysuckle) Flower Extract (And) Lonicera Japonica (Honeysuckle) Flower Extract (And) Simmondsia Chinensis (Jojoba) Seed Oil*, Red 7 Lake (Ci 15850).